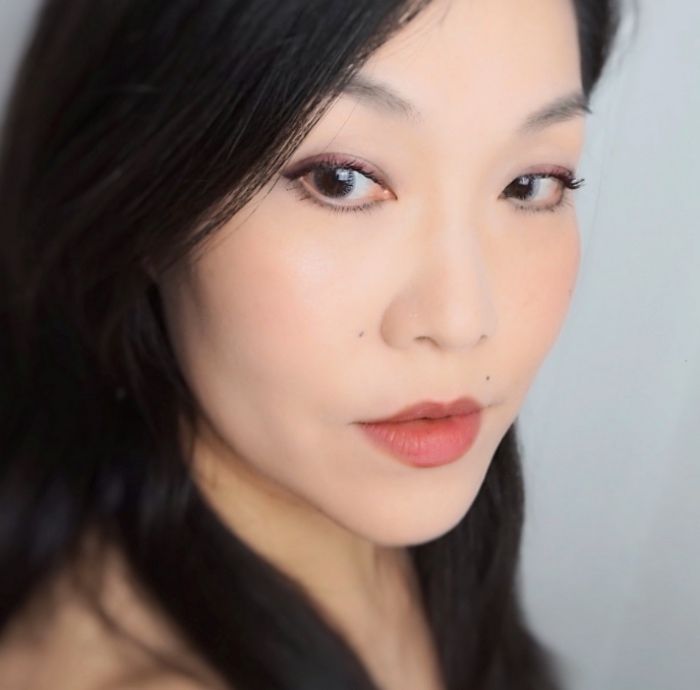 It's been a while since the last time I bought Dior's lip makeup, but this new Rouge Dior line reinvented by Peter Philips has certainly made me look. The stunning red lacquered case and the mature yet ever gorgeous Natalie Portman helped, of course. I have been delving into various makeup artist brands and beauty guru collaborations lately but I still look to couture brands such as Chanel and Dior when it comes to saturated reds. There is something about how they do their reds, in my humble opinion. The shade I picked up, 770 Ultra Love did not disappoint. For those who are not familiar, A'pieu is one of the popular Korean roadshop brands (under Missah umbrella). I am not a Kbeauty expert but if you ask me what to buy from them, I'd say the Mineral Lip & Eye Remover without hesitation. I tried this remover last year thanks to a friend and was surprised to see how well it worked while being so mild. This amazing remover is a cult fave and only 2,500 KRW (about $2 USD) in Korea. Unfortunately, being liquid, the price is marked up by more than 100% if I want to buy them here. The biggest KBeauty store in Manhattan (L'ovue on 5th Avenue) sells them for $5 (and twice of that on eBay), but I still think it is good stuff even for the marked up price. 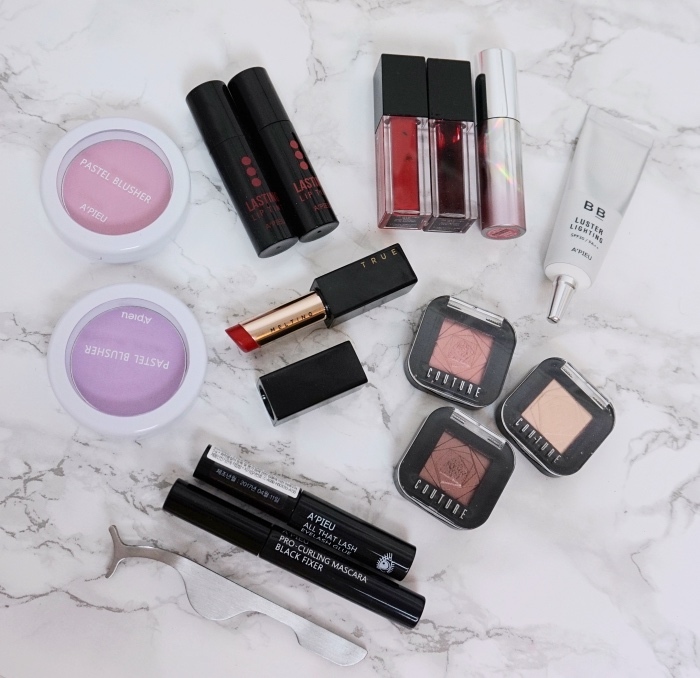 Impressed by the remover, I became interested in A'pieu's other offerings and ended up hauling quite a bit of makeup in last May. I ordered mine from Gmarket.co.kr. My order also included clothes and some other stuff so the express shipping cost made sense but I can't recommend ordering from the site just for a few items because they only offer EMS. I see YesStyle would be the best option as they carry almost the full range and the markup is reasonable. Please read on for some swatches and thoughts. It doesn't make me look very smart talking about a soldout limited edition from a sale that had happened a month ago, yet here you have it. 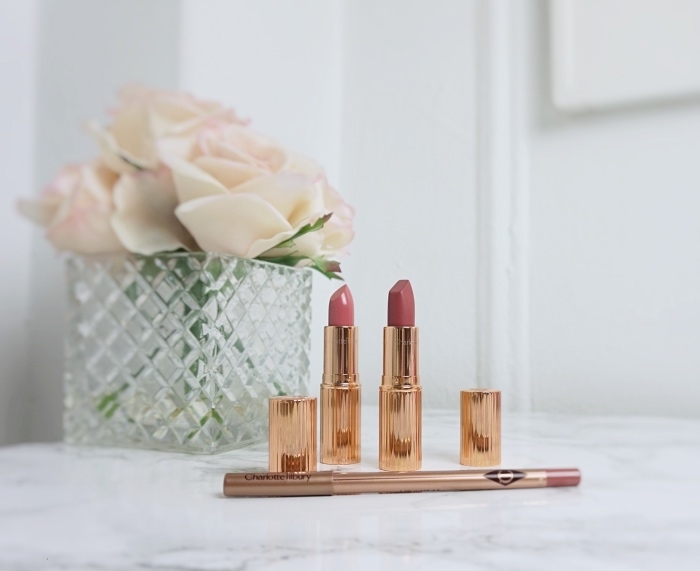 This was my first foray into the ever popular Charlotte Tilbury makeup. While it wasn't my last purchase (I did buy a few more things later on), it didn't change my mixed feeling towards the brand. I have a quick Monday Manicure post with Deborah Lippmann Gel Lab Pro "Like A Rolling Stone", which is a part of the "Rockstar" set that I recently reviewed. I bought this on a whim while reading a UK-based blog. 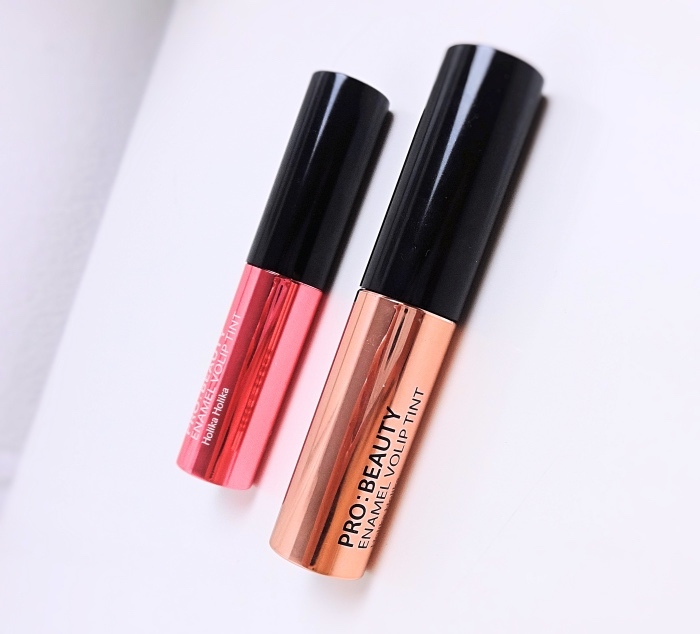 L'Oreal Infallible Mega Gloss line has been around for many years but not in the U.S. We have Infallible Pro-Matte Gloss but I am not sure it is the same formulation not to mention the packaging looks rather cheap. I often see these differences between the brand's U.S. and European offerings and it upsets me sometimes. Thanks to eBay though, I bought mine under $5 USD and it was delivered for free. And, it turns out to be one of the best lippie purchases in a while. Deborah Lippmann Rockstar Gel Lab Pro Set is a selection of moody grey and purple hues. I ordered the set during the Nordstrom anniversary sale but it is still available at the same low price. 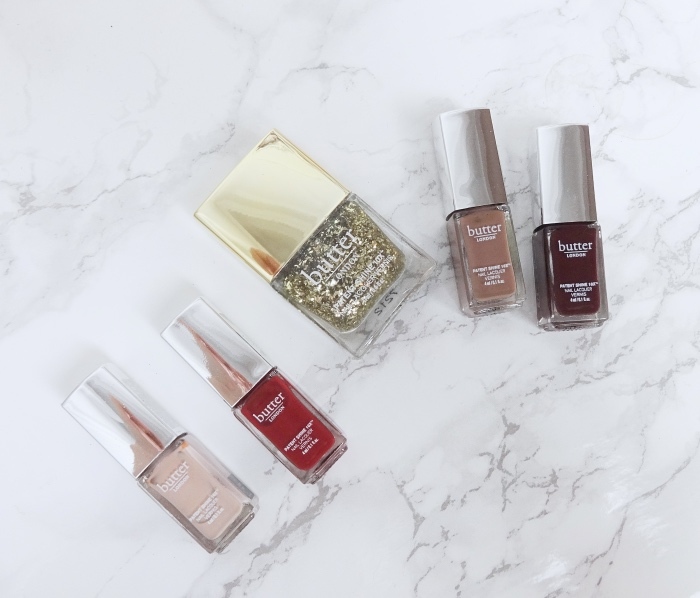 Today I am going to show you a quick swatch set of all colors and talk about the Gel Lab Pro polish formula. 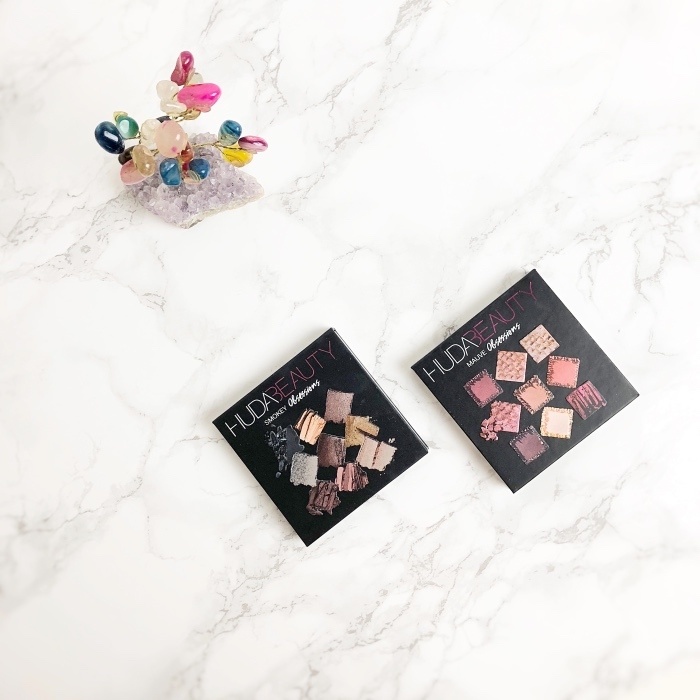 Maybe it is time for me to admit that Huda Beauty Mauve Obsessions (swatched here) isn't the best-looking palette on me. I keep trying because I find these saturated mauves and purples irresistible and partly because I feel challenged. I've found most pink-based eyeshadows don't really complement my natural eye color but also make me look quite pale. The solutions would be to get new eyeballs or warm up the complexion (ditching the palette is not one of them, obviously). This post is about the latter although I have to say it's more fun to play with the first option (I mean color contacts with subtle green or gray hues, not actual eyeballs). This is my first Suqqu makeup, ever. I don't know why it took so long for me because all my favorite beauty bloggers have been raving about this refined Japanese brand for years. I order many things sight unseen so the fact I have to rely on online swatches doesn't bother me at all, but maybe I didn't want to be bothered with that elusiveness which the brand seems to project almost intentionally. Maybe it is a bit too soon for another Essie Gel Couture polish post, but here we go. V.I.Please is a deep berry shade with a hint of red. It has Essie's signature gel-creme finish which I always appreciate. I got excited when I heard about L'Oreal Colour Riche Shine Lipsticks although I haven't bought many drugstore lippies lately. 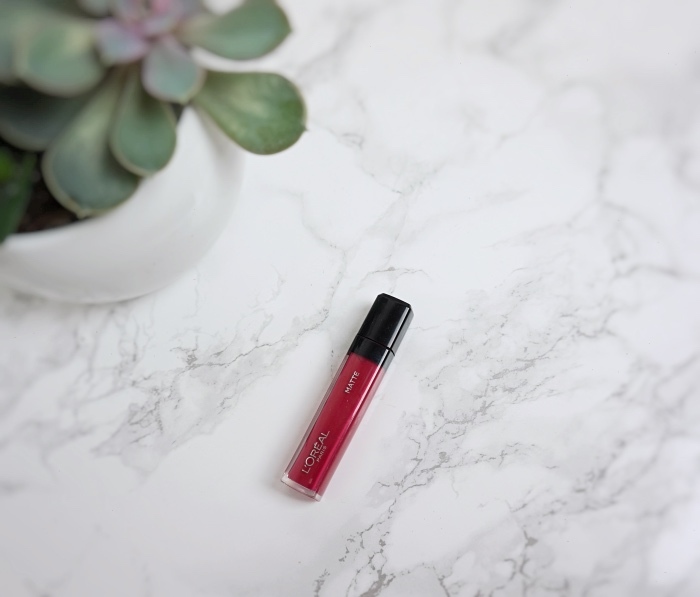 Believe it or not, Colour Riche Balm is one of the very few lip stuff that I actually used up and repurchased. This is a nice dupe of Yves Saint Laurent Candy Volupté but unlike the YSL it comes in a very flimsy case that cracks over time. 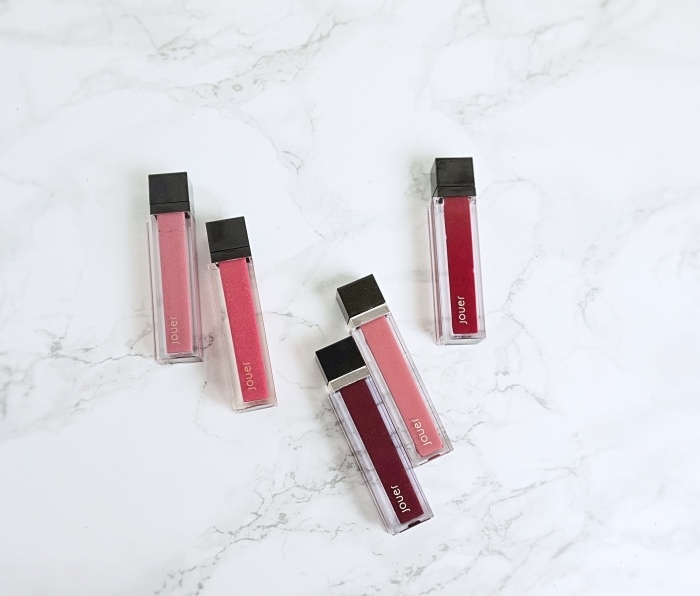 The new Shine Lipstick range seemed like an amplified version of the Balm range and the lipstick case looked sturdy and even pretty. I had to try a few for myself. 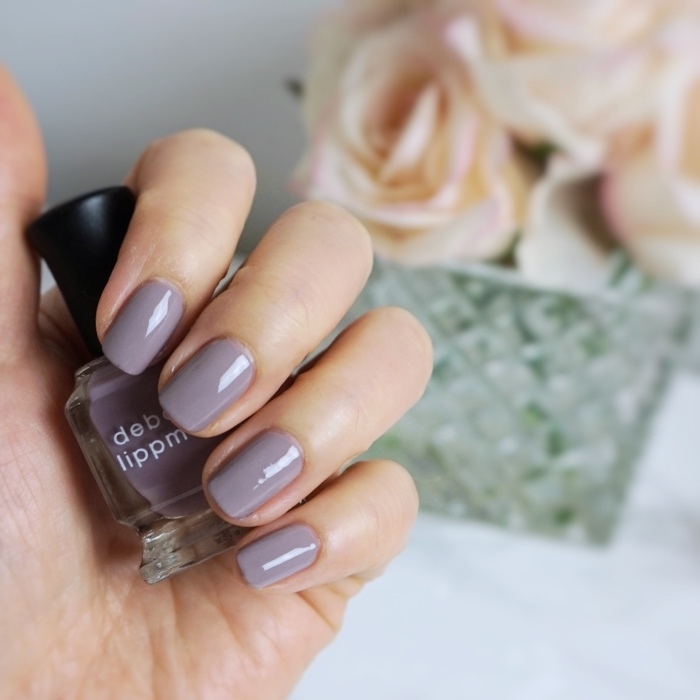 NOTD | Essie Gel Couture Nail Polish Wearing Hue? 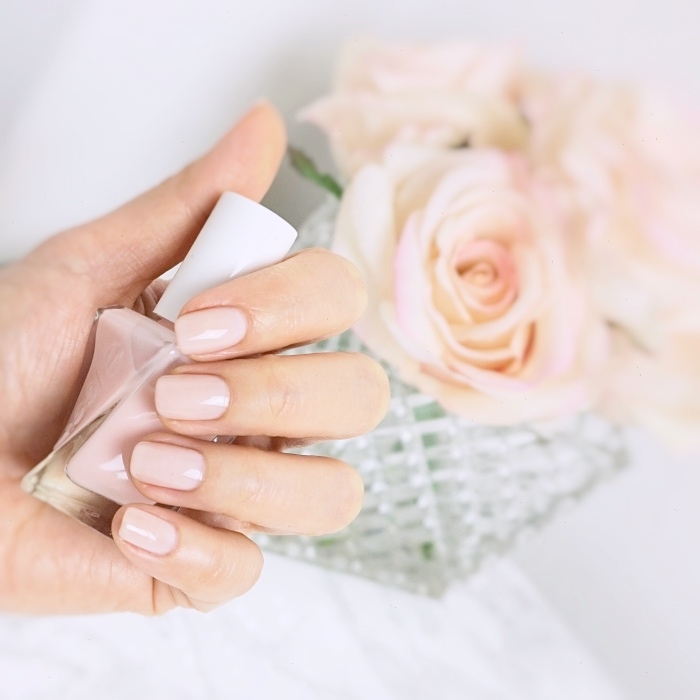 I am still searching for that "perfect summer white" polish but if I don't, I should be just fine with Essie Gel Couture Wearing Hue?. 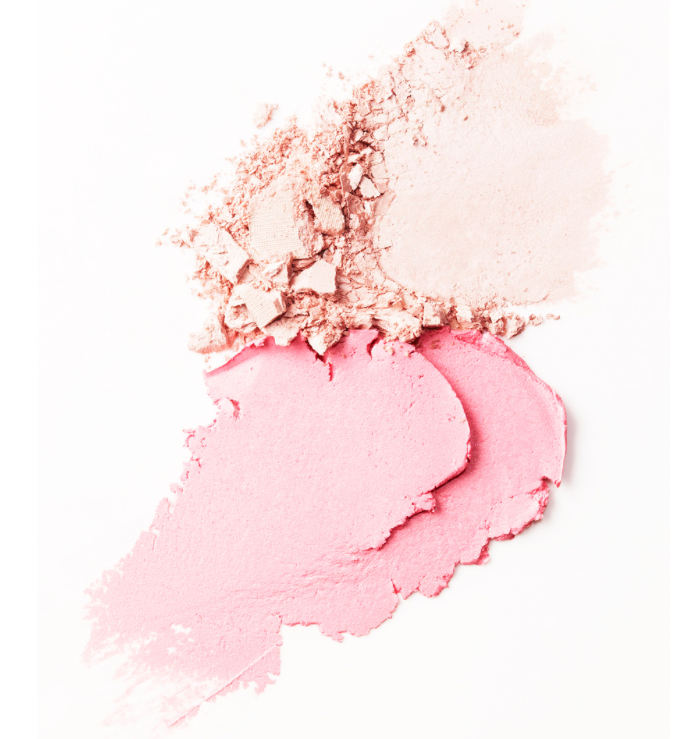 It looks decidedly pink from the picture, but in real life, it is an opaque white color blushed with champagne shimmer. Until recently, I had stayed away from this popular makeup trend, contouring. If the broad concept of contouring includes both highlighting and shading, then yes, I've been contouring. But, my idea of adding dimensions to the face is more about luminosity and for that, I have almost entirely relied on highlighters. I paid very little attention to shading products or bronzers. I did not own a real concealer nor did I know that many people use concealers to contour, not necessarily to cover up blemishes. About a month ago, I suddenly had this strong desire to own a "small travel-friendly eyeshadow palette with a good matte black". You see, it is a pretty specific thing. Fascinating how my desire to buy new makeup manipulates my brain. I am sure I knew on a subconscious level that I did not have one in my stash. However, knowing that I have too many eyeshadow palettes already, I wanted to be sensible so that I ordered a $5 palette that appeared tiny on target.com - 9 colors for $5, it's got to be tiny, right? Turns out that it was the BIGGEST palette I ever purchased (it contains whopping 4.4 oz if you're wondering). The Profusion Cosmetics palette swatched well and I honestly couldn't find anything wrong with it, but it wasn't what I wanted so I gave it away. I was $5 less sensible but the search continued. Huda Beauty Smokey Obsessions was about the only one I could find with a matte black that's small and also reasonably priced. Then, I added the Mauve Obsessions to the basket convincing myself that I did not own a good pinkish palette (not true, by the way) and I was no longer sensible. I have been forever repurchasing Muji cut cotton since Mina of Citrine's blog pointed me to them. I've also enjoyed a few different types of toner, but this is probably the first time when my daily cleansing routine heavily relies on the brand. I find some Muji stuff is overpriced for what it is, but the brand still creeps into my daily life. There are Muji storage items, soap dispensers, and lint rollers in the house. I even own a set of ramen bowls that I really like. I guess it's mainly because of the unobtrusive designs (someone described the brand as "sedated IKEA". LOL) that are also functional. The same applies to their skincare offerings yet in this case they are fairly priced as well. I am usually not keen on MAC cosmetics but couldn't pass up an extremely good deal that I spotted during the holiday sales last year. 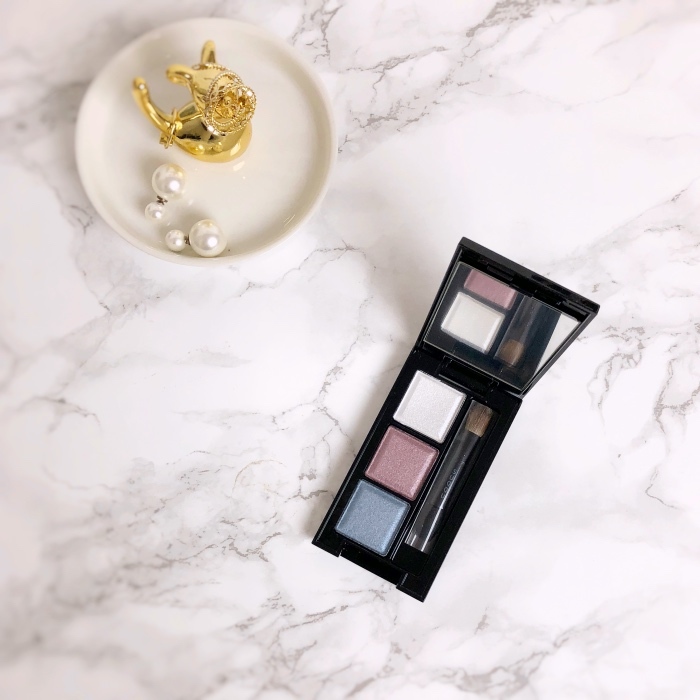 The Ulta exclusive set (Instant Artistry Simple Smoky Eye Kit) contains MAC Eyeshadow X 9 Dusky Rose, 219 brush, and Modern Twist Kajal liner in Cat's Meow and is priced at $49.50, which is already a steal. I think I bought the set under $35. 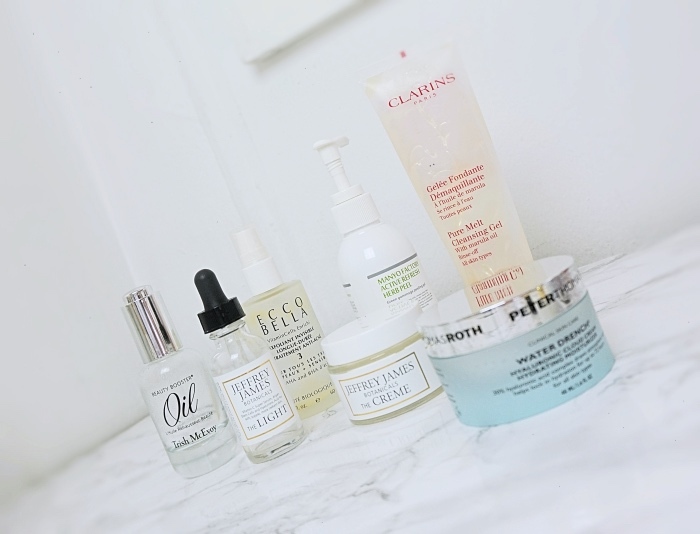 I just "searched" my own blog and apparently, I have never done a proper empties post. This would be my first! This month, I managed to use up several skincare products around the same time so snapping a group shot wasn't too difficult. I briefly shared this look on Instagram a few weeks ago. 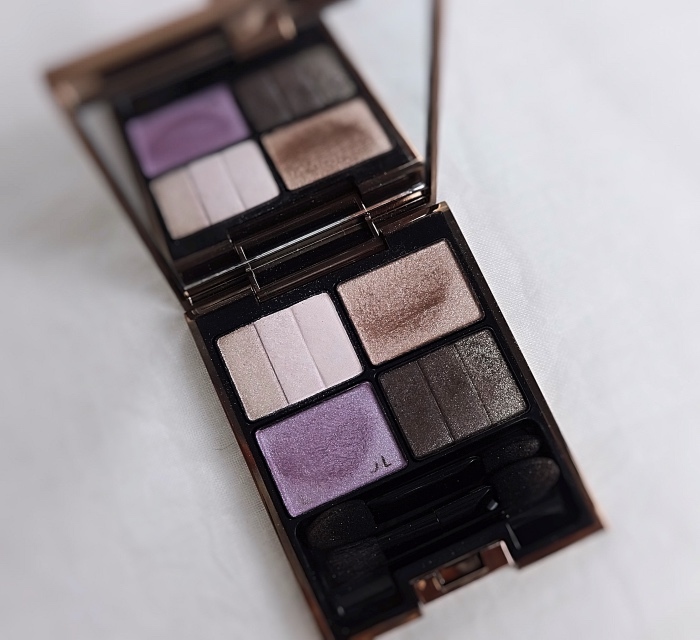 For some reason, I think I love certain eyeshadow palettes yet hardly reach for them. Dior 5 Couleur Bar (056) (discontinued, but this one looks similar) is one of them. It is a great quality palette with a brilliant cool/neutral color combo and seriously needs to be appreciated more. This year, Issey Miyake has introduced a new flanker to brand's iconic L'eau d'Issey (1993). 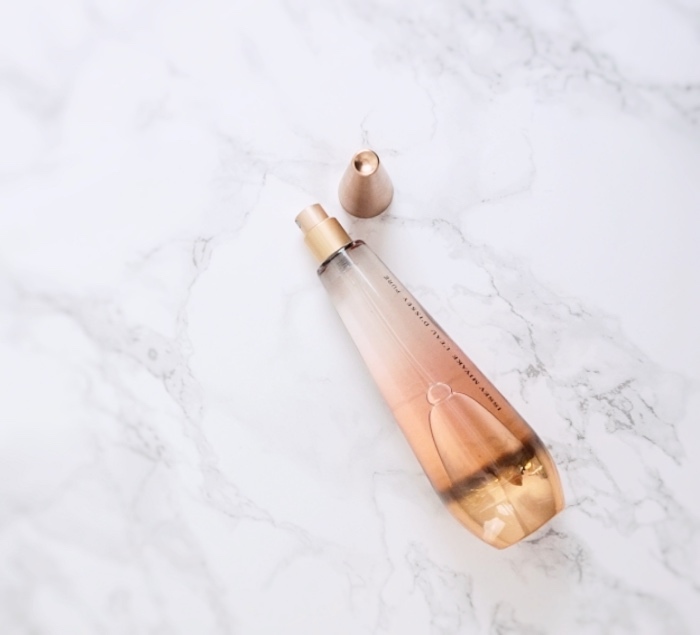 To be accurate, Pure Nectar de Parfum is a sweet fruity sister of L'eau d'Issey Pure EDP, which was announced in 2016 as the second chapter in the history of L'eau d'Issey. 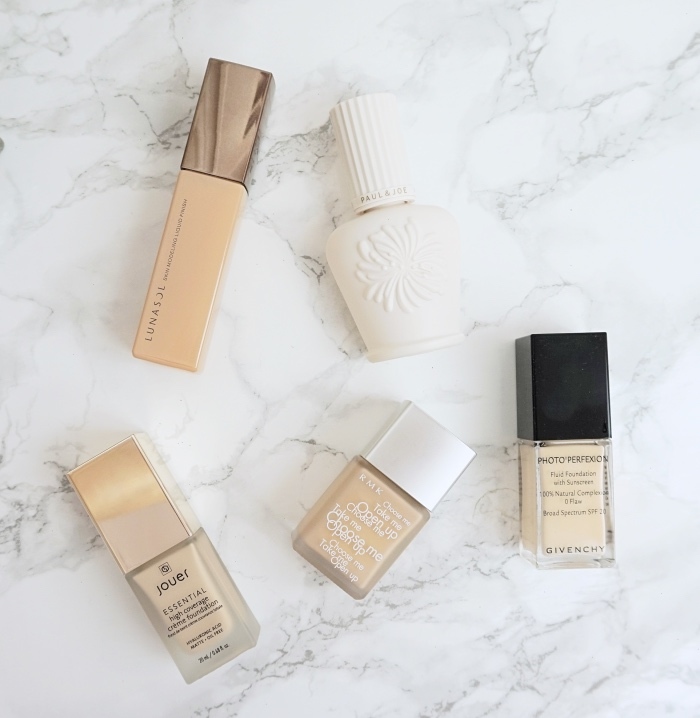 For a beauty enthusiast, I think I have a modest foundation collection. Reviewing them individually seemed a lot more complicated though that I've decided to do a roundup post with swatches. You will probably see more of these of different subjects from now on, as I am taking a realistic approach towards blogging (rather than pledging to write all about them then failing). 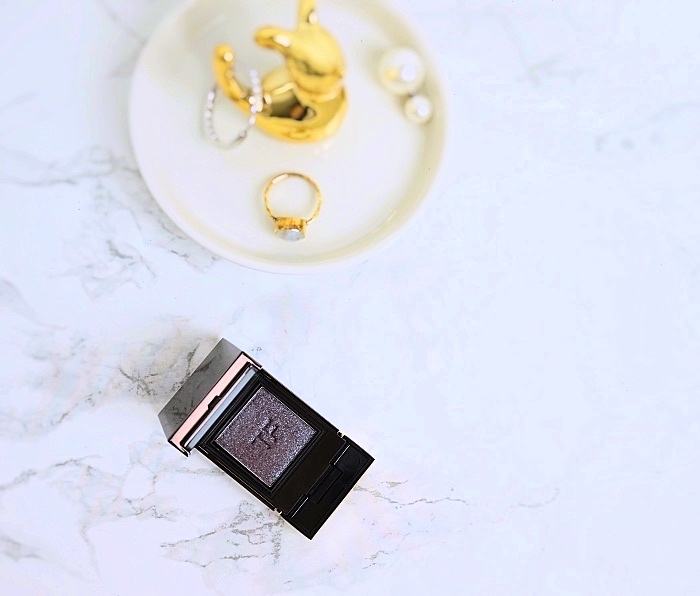 I have had Tom Ford Private Shadow Camera Obscura for a while now but I still am not sure if I love it or hate it. This tiny thing is about $40 after tax so I was ready to be blown away by its gorgeousness. I can't say I was, to be completely honest with you. I recently bought a mirrorless camera and so far it doesn't seem that I made a smart investment. I have been shooting with a tiny point & shoot under a softbox for years now. Not that I had a major issue with the picture quality but I wanted to offer better ones here on Lenallure. Frustratingly enough, my new camera is capable of capturing all my wrinkles and freckles yet it cannot (no, I cannot) give me clear swatch photos. A wise friend has advised me that I just need to get familiarized with the camera and its settings, so I was practicing a bit this afternoon. These five Jouer lippies were the objects. 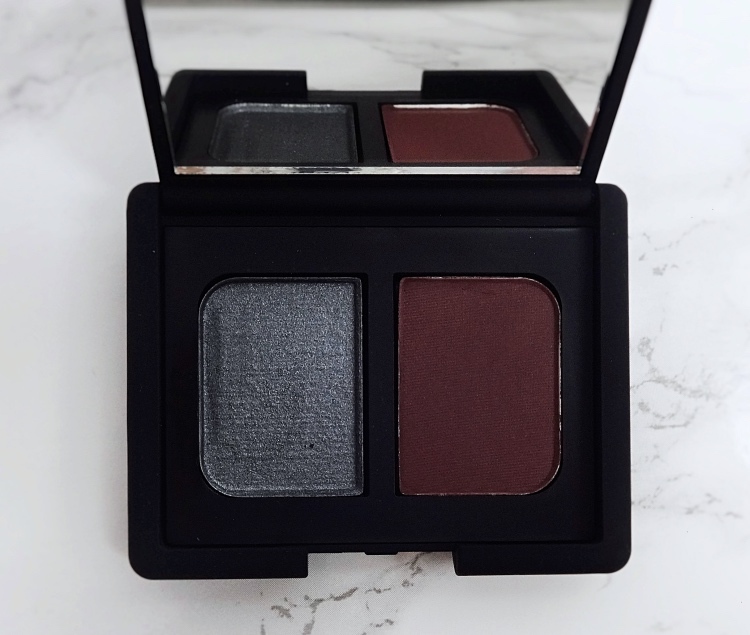 Indes Galantes is another stunning duo from the NARS Sarah Moon collection (late 2016). I love the other duo in the collection, Quai des Brumes so much and use it frequently (reviewed here). I knew that Indes Galantes wouldn't be as easy to pull off but had to get it because the color combination looked so interesting. We've enjoyed a very nice spring weather for the past few days but the cold wintry mix seems to be back. Hope everyone is staying well in this finicky weather! 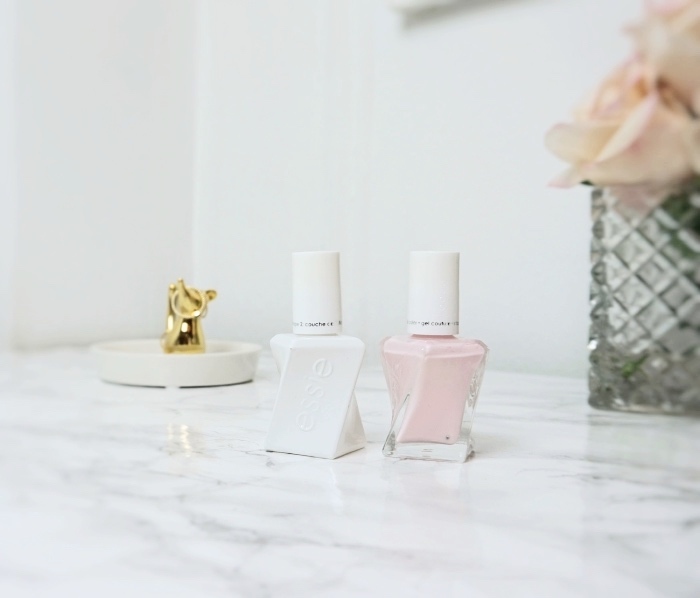 Despite the endless winter, light pink and whites are all I want on my nails these days. 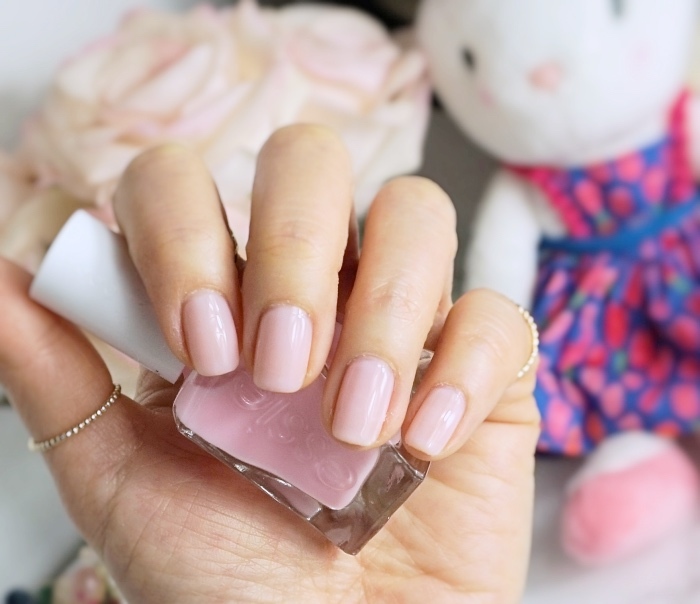 This week I am wearing a sheer pink one from the Essie Gel Couture range, Inside Scoop. 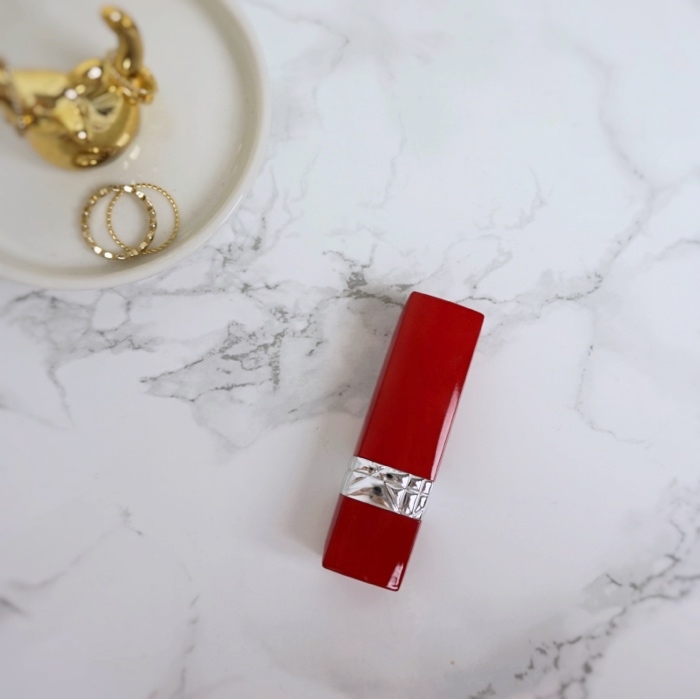 This season, Rouge Bunny Rouge suggests a bold yet elegant makeup look, Venetian Red. I was immediately drawn to this edgy poetic look and definitely wanted the Victorian hat the model was wearing. At the same time, I didn't know how it would translate in real life because the look is about warm bronzed skin and red eye makeup. To my surprise, this is actually quite a soft and wearable look. Easy to create, too. 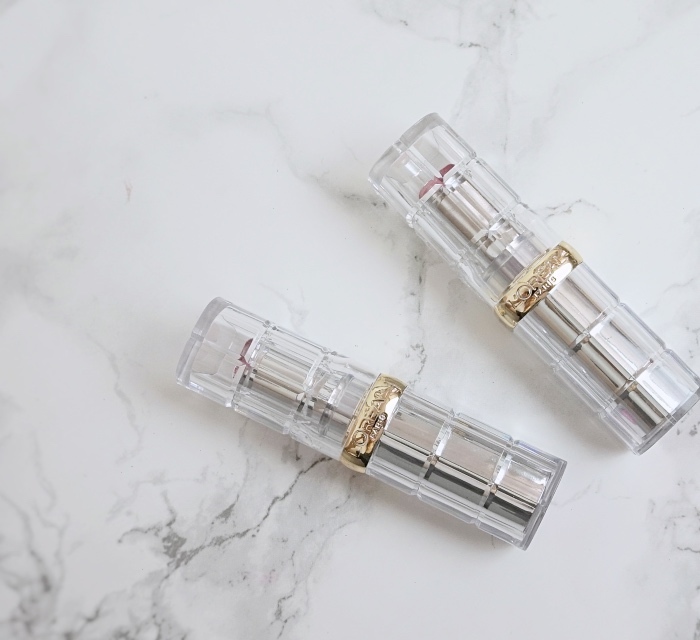 I put together a very simple yet bold look using two recently reviewed items - Pat McGrath Platinum Bronze (reviewed) & Givenchy Le Rouge Framboise Velours (reviewed). I totally missed out on the gorgeous Chinese New Year edition (ooh, I just saw it's still available on Neiman Marcus!) and was not going to let that happen again when I saw the 2018 Couture Edition. I believe the 2017 edition was also Framboise Velours. I wish Givenchy went with a different color for the spring. 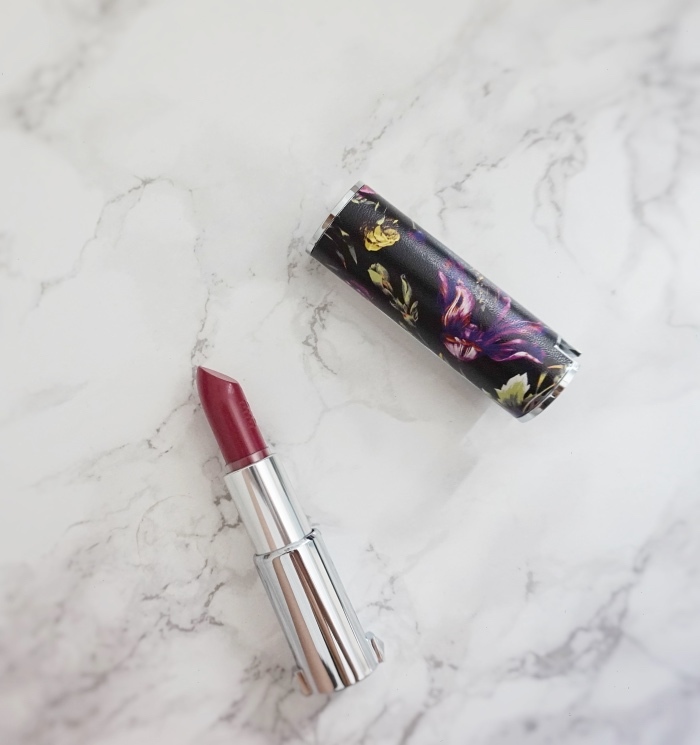 Nonetheless, Framboise Velours is a very pretty berry shade that works well on my complexion. And more importantly, would you look at the case. 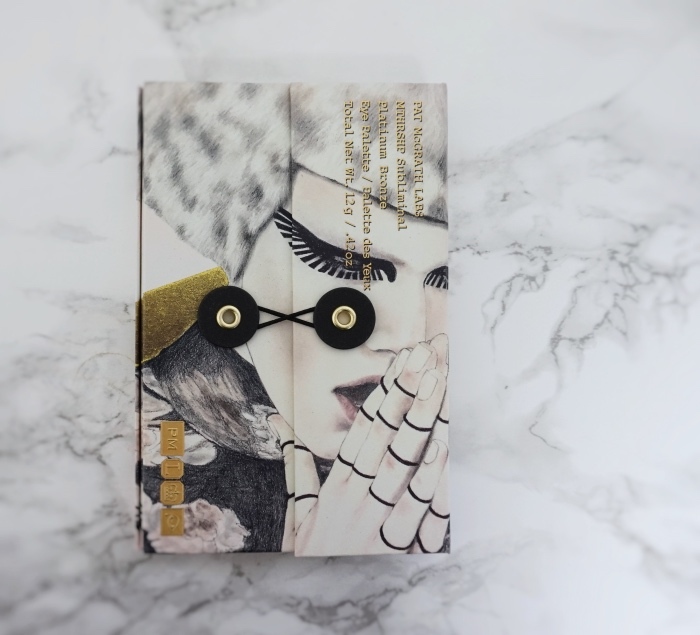 Pat McGrath has brought out 3 new eyeshadow palettes this spring - Platinum Bronze, Bronze Ambition, and La Vie en Rose. Each is like a concise version of her MOTHERSHIP eyeshadow palettes but looks somewhat tame. Which is a good thing for someone like me, because I find the original MOTHERSHIPs too big and bold to incorporate into daily looks. I picked up Platinum Bronze without hesitation. I haven't had enough time to play with it, but I wanted to quickly show the swatches and share my initial thoughts with you. 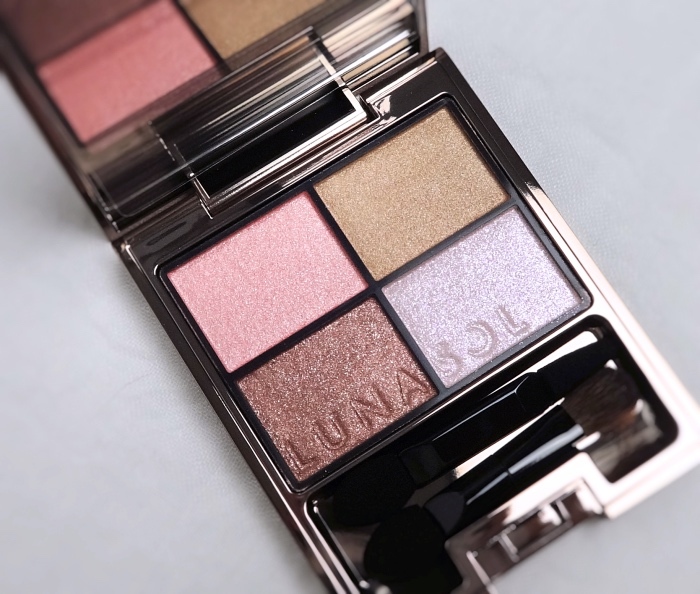 Three-Dimensional Eyes Mysterious Beige is probably the most reached one out of the six Lunasol eyeshadow palettes that I own. I love this soft violet/beige/khaki composition. It's not too pastel but definitely not too serious, either. 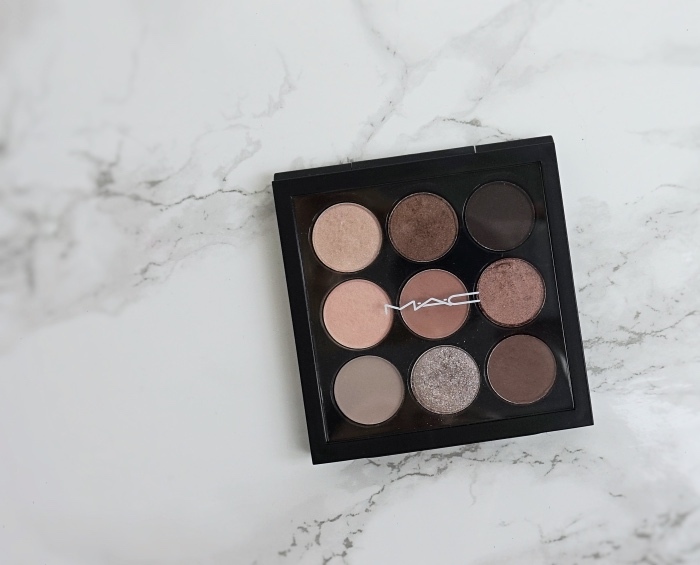 This palette is very flattering and easy-to-wear, which would suit many different complexions. I am not new to Rouge Bunny Rouge fragrance offerings, which is why I was even more delighted when this beautiful set landed on my doorstep. 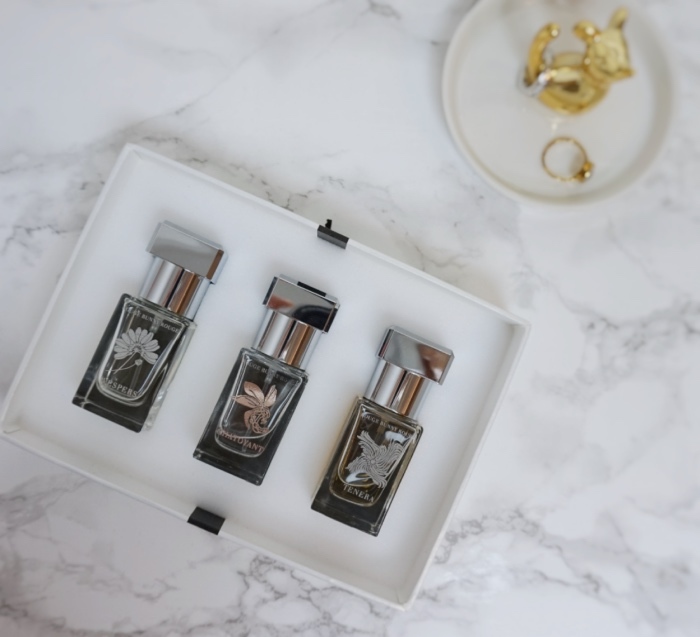 Rouge Bunny Rouge Fragrant Confections Collector's Coffret is perfect in every way especially if you are like me, finding yourself weary of most of the mainstream but puzzled by the niche market. 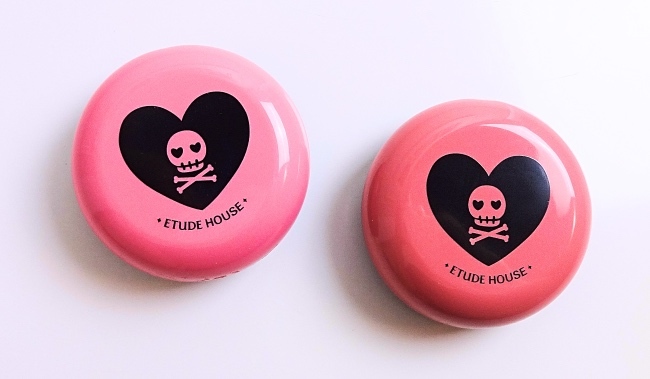 If I had done a list, these two blushes probably made "best affordable makeup in 2017". About a year ago, a friend in Korea gifted them saying "don't judge by the cover" and quickly I learned what she meant. Both colors surprisingly have depth and the formula is something I'd expect from a high-end brand. I've been reaching for them often especially whenever it feels cold and dry outside. Rather than publishing a few more posts that are overdue, I changed the blog design yet again and thought of starting a new series. This is same as good old stash shopping underneath, but I'd like to call it "Look Book". Each post will consist of a tray (an unused dinner plate, actually) of makeup products and an overall look. I did one a while ago on Instagram and people seemed to enjoy the idea of seeing these two together. The track record shows that I am terrible at doing a series so I can't promise anything, but let's have a little faith as I even made a cover picture for this one.